**LAKE ACCESS** LARGE LOT** NO REAR NEIGHBORS** Expect to be impressed with this immaculate home in the tightly held community of Palisades. Spanning a generous 2937 sq ft over 2 levels, this 4 bedroom, 3 bath home will check all the boxes on your list. Upon entry you are welcomed to grand foyer area, formal living and dining. The chef will love the beautifully appointed kitchen with granite counters and stainless steel appliances. This well-designed space overlooks the family room and offers a spacious eating area and granite center island. Master bedroom, located on the first level, boasts double walk in closets, soaker tub, walk in shower and dual sinks. An additional bedroom and bath can also be found on this level. The top floor accommodates 2 additional bedrooms, full bath and large bonus area; the perfect multi-use space. The outdoors is equally as impressive. Step through the sliders to the oversized screened lanai complete with ceiling fan, recessed lighting and roll up blinds. With NO REAR NEIGHBORS, this is the perfect spot for morning coffee or afternoon relaxation. Additional features and comforts to include: indoor laundry, 2 car+golf garage , NEWER EXTERIOR PAINT and NEW downstairs A/C (2019) . 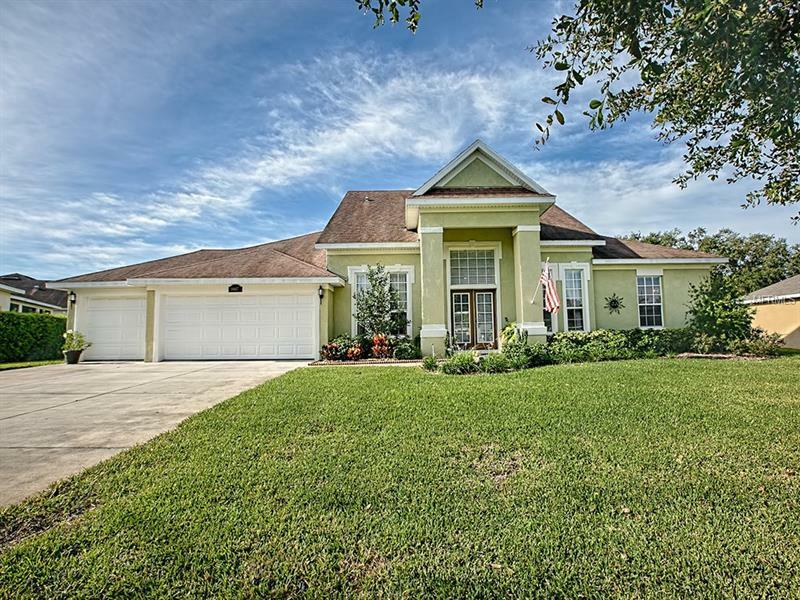 Palisades is located in the rolling hills of Clermont and offers residents CHAIN OF LAKE ACCESS, COMMUNITY BOAT RAMP, SWIMMING POOL, TENNIS COURTS AND PLAYGROUND. Call today to schedule your private showing. This one is a gem!